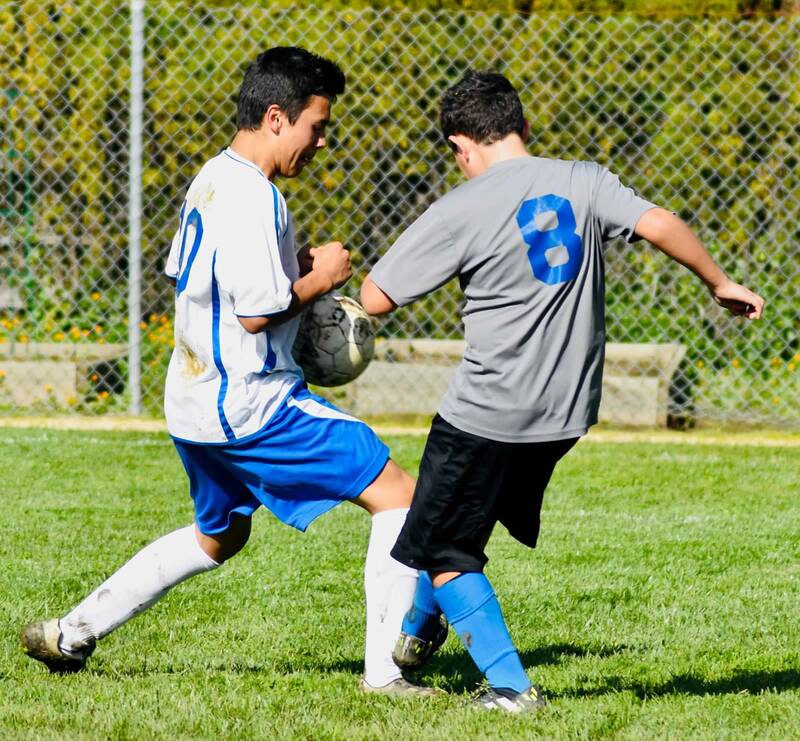 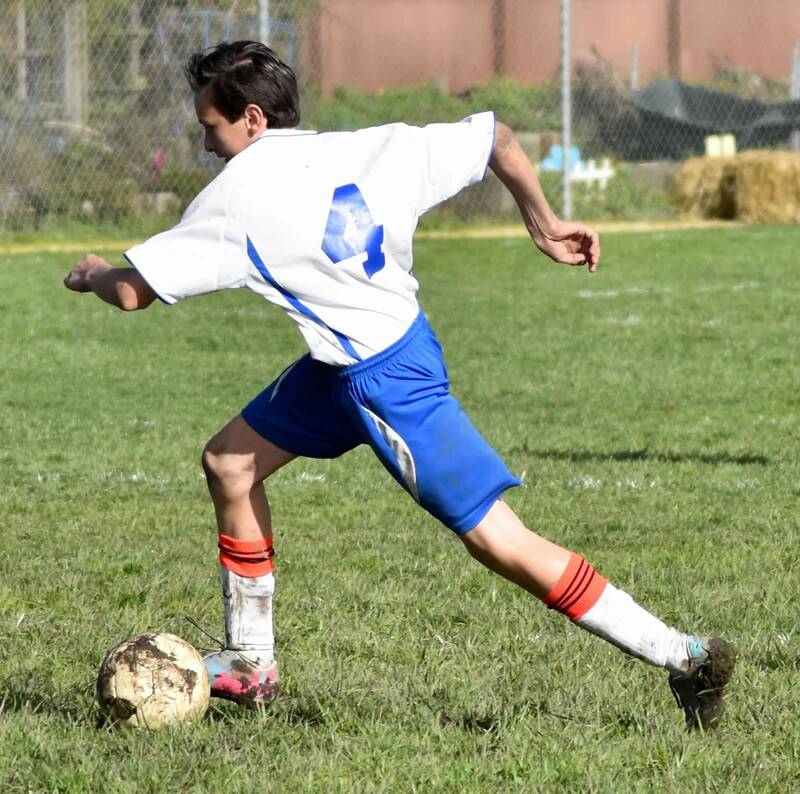 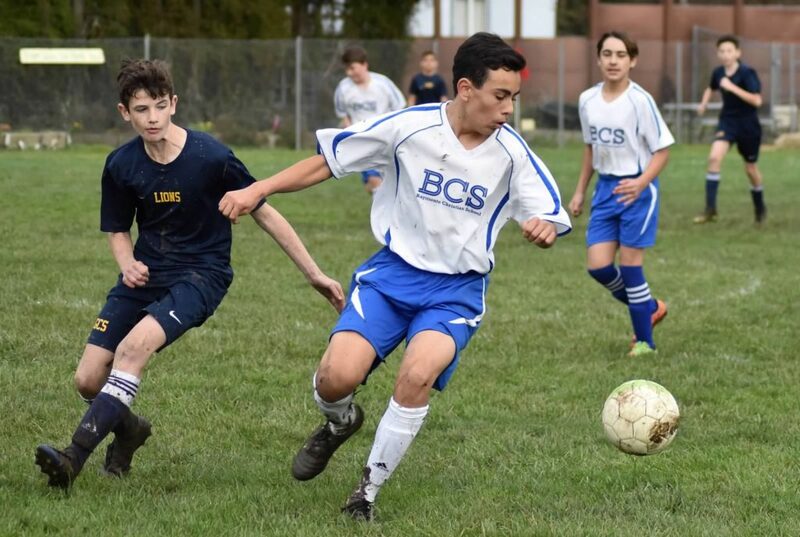 Baymonte’s boys soccer team had an exciting playoff game yesterday vs. Tabernacle School. 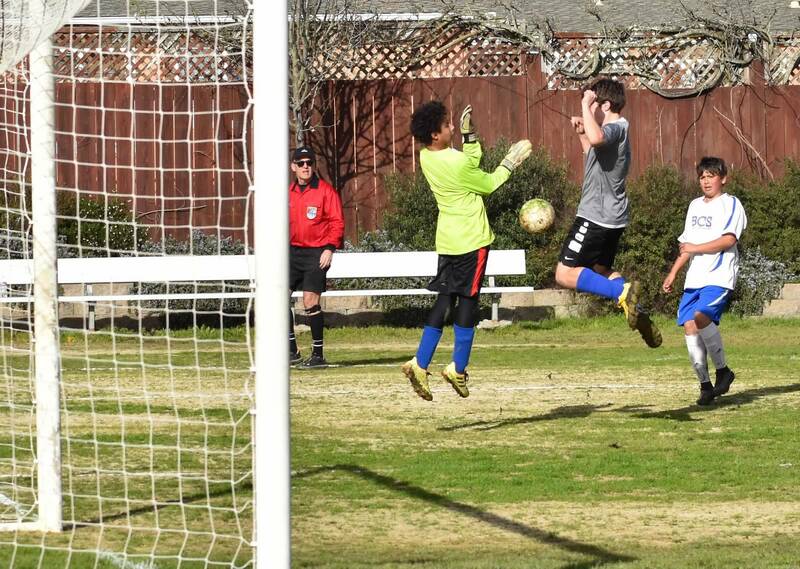 After a tied game, two overtime sessions, and penalty kicks Tabernacle finally came out as the winner. 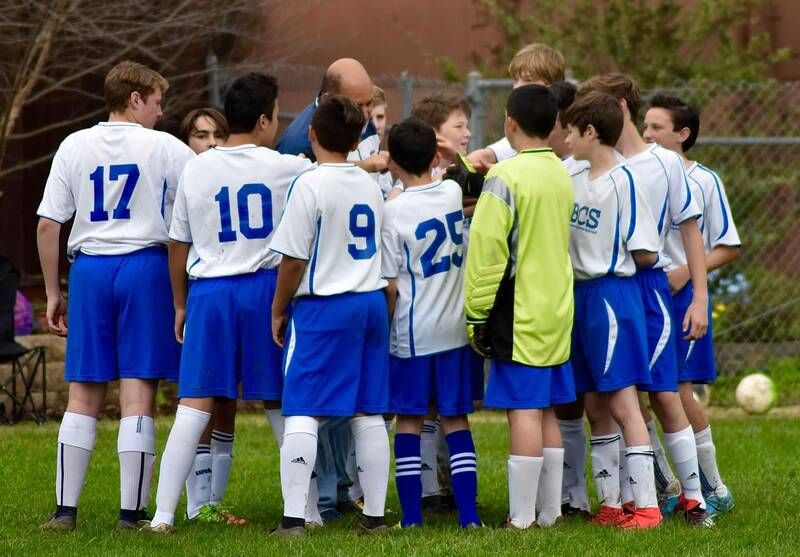 Congratulations to our boys on a great season! 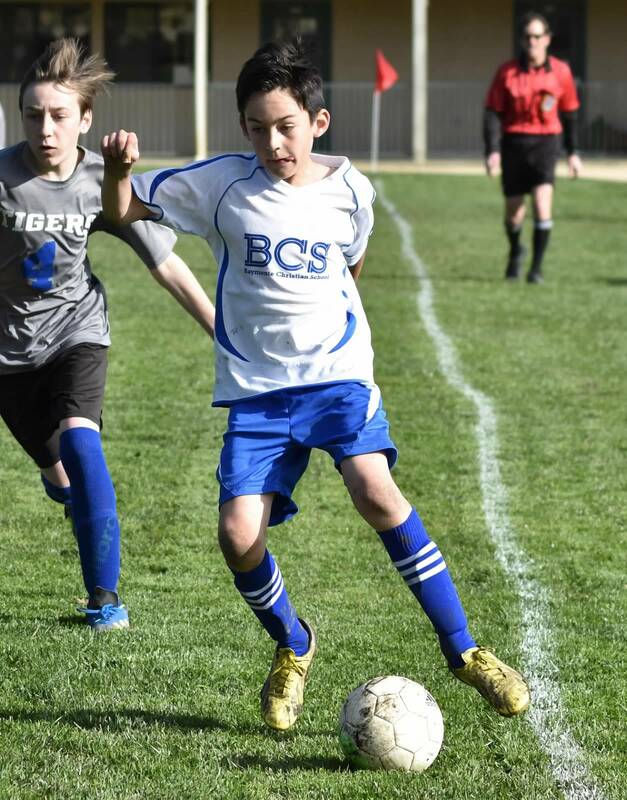 Baymonte’s Boys Soccer Team earned second place in the south division of BASCAL (Bay Area Schools Christian Athletic League). Come out and support the team today at their home playoff game vs. Tabernacle School. 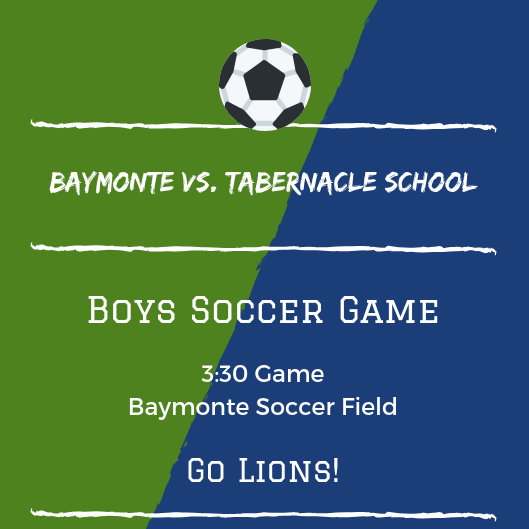 The game is at 3:30 at Baymonte’s soccer field! 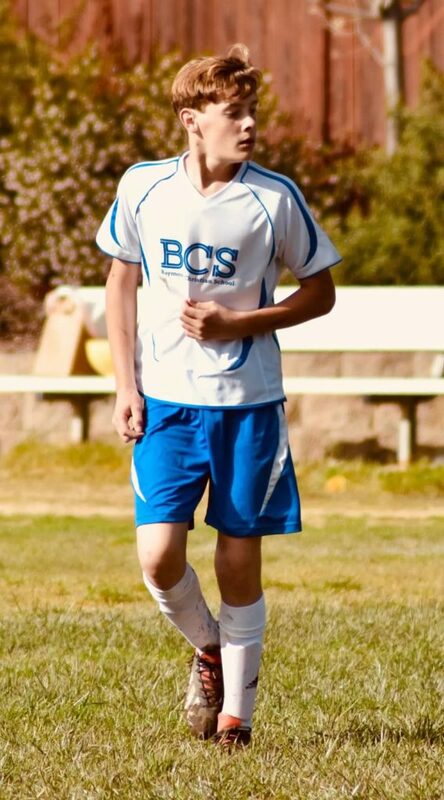 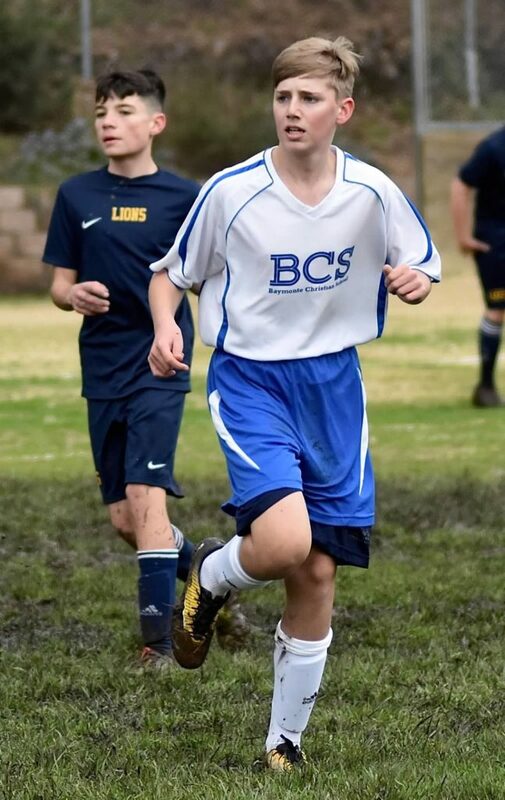 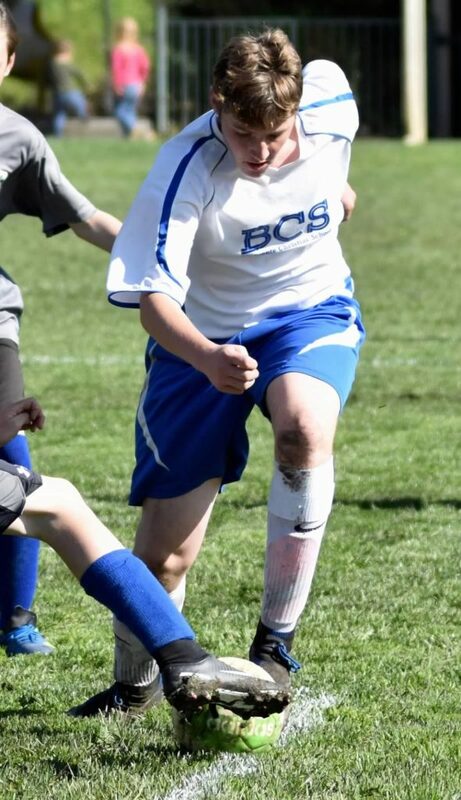 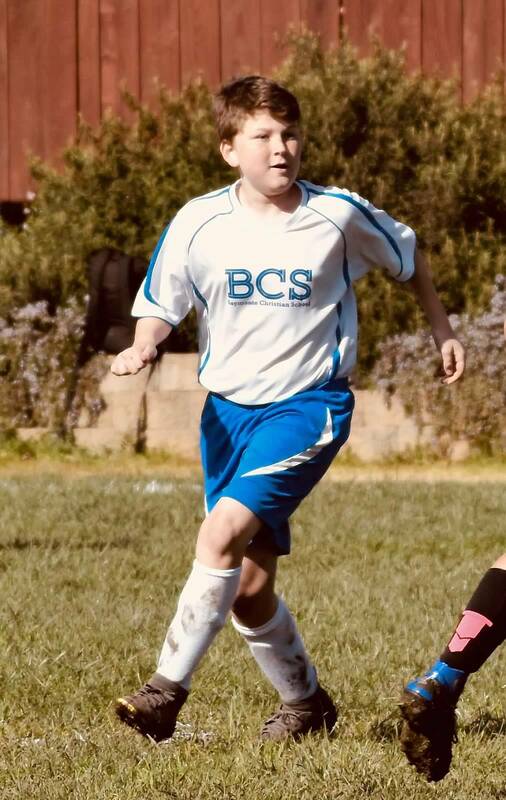 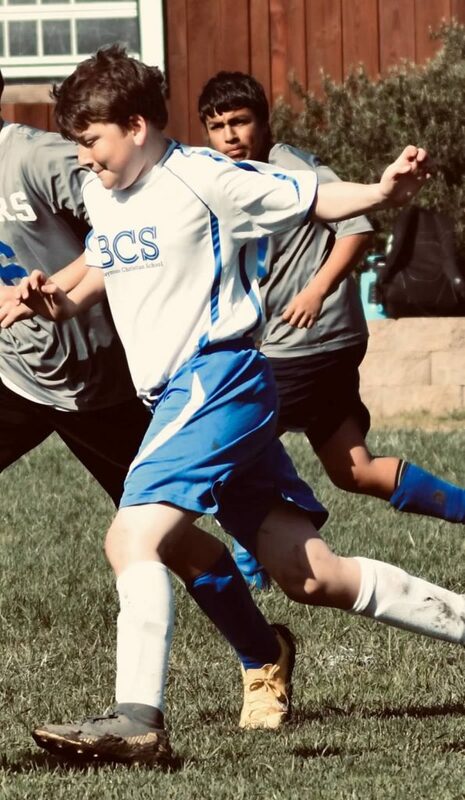 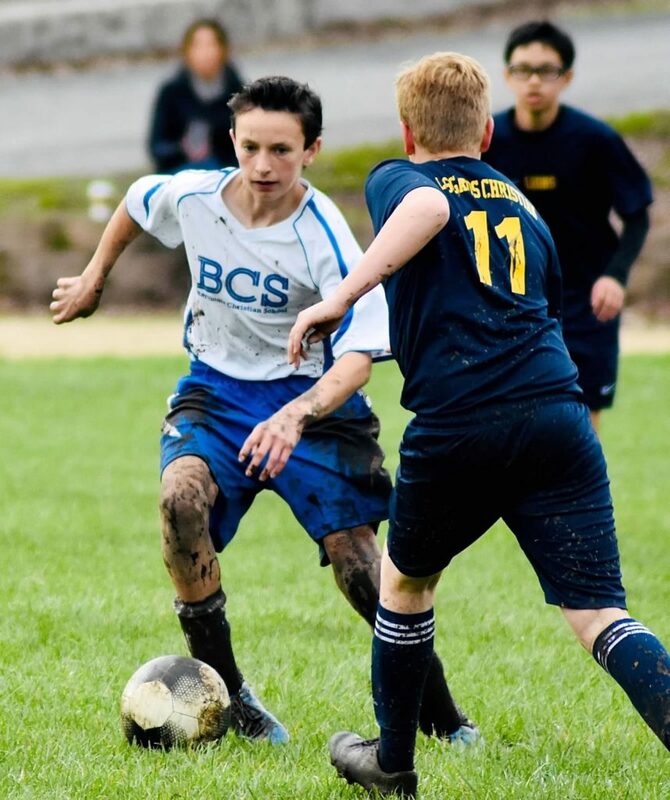 BCS Boys Soccer Team Make It To Playoffs! 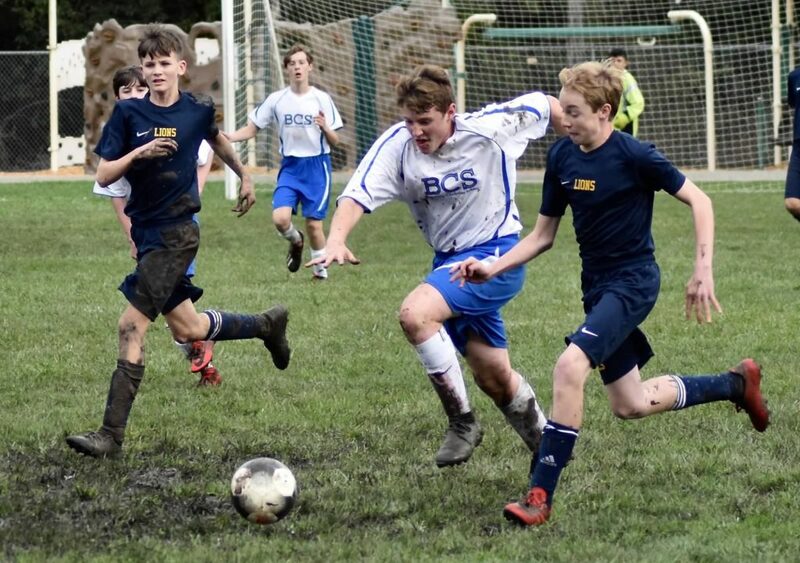 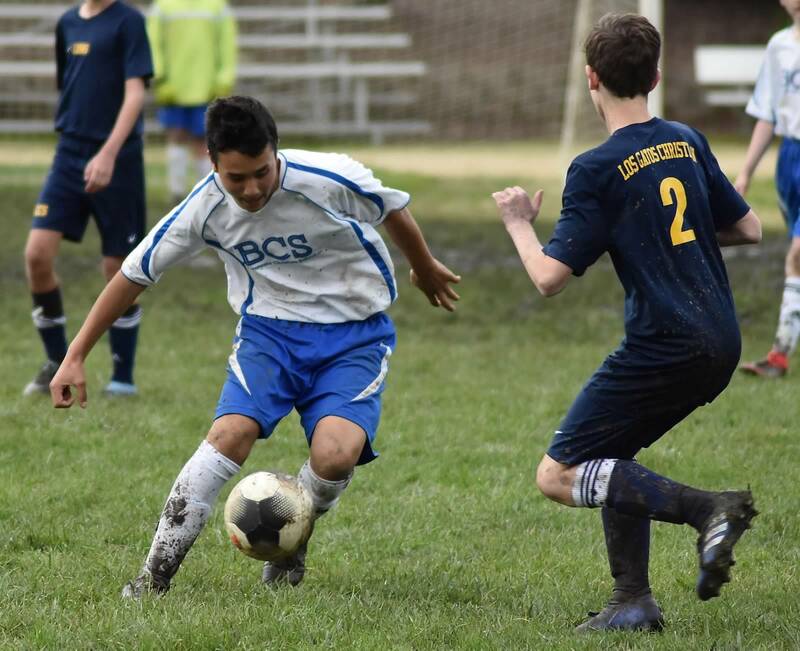 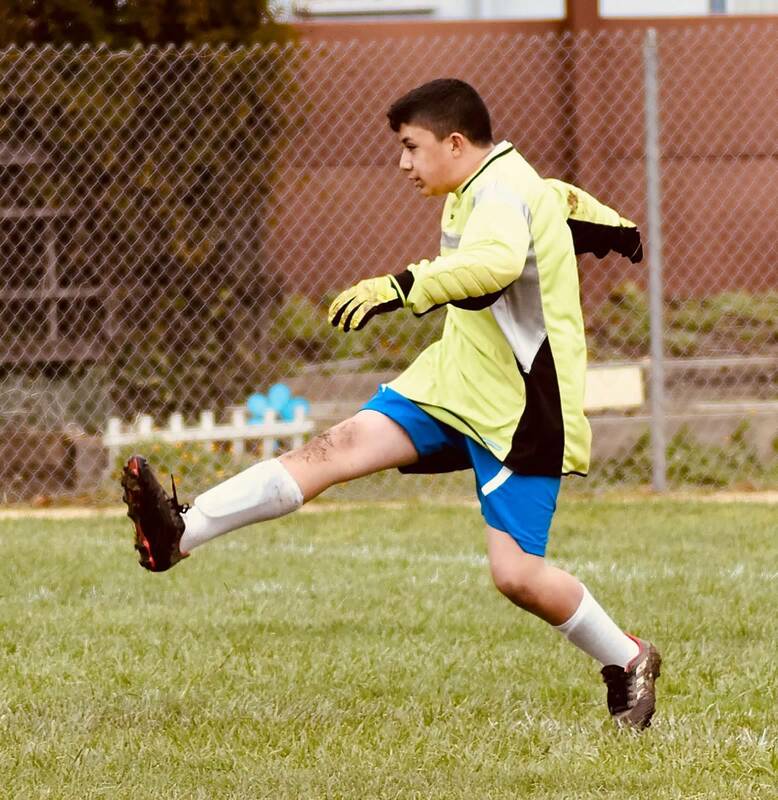 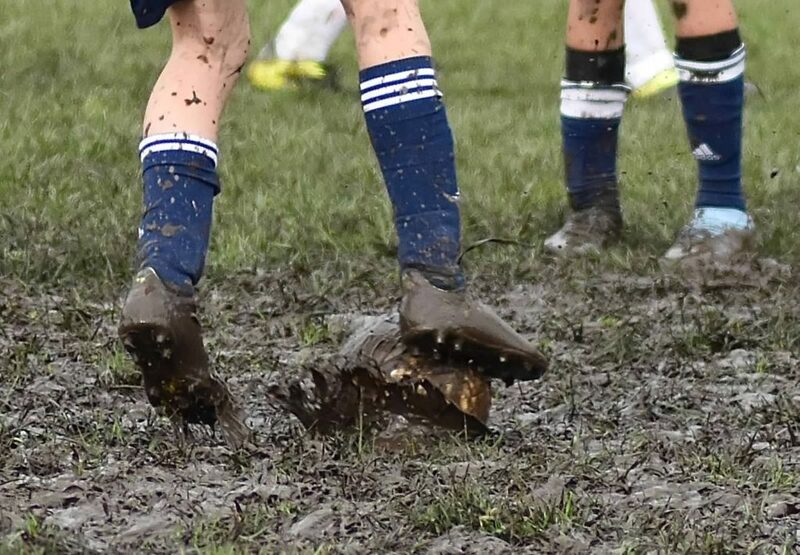 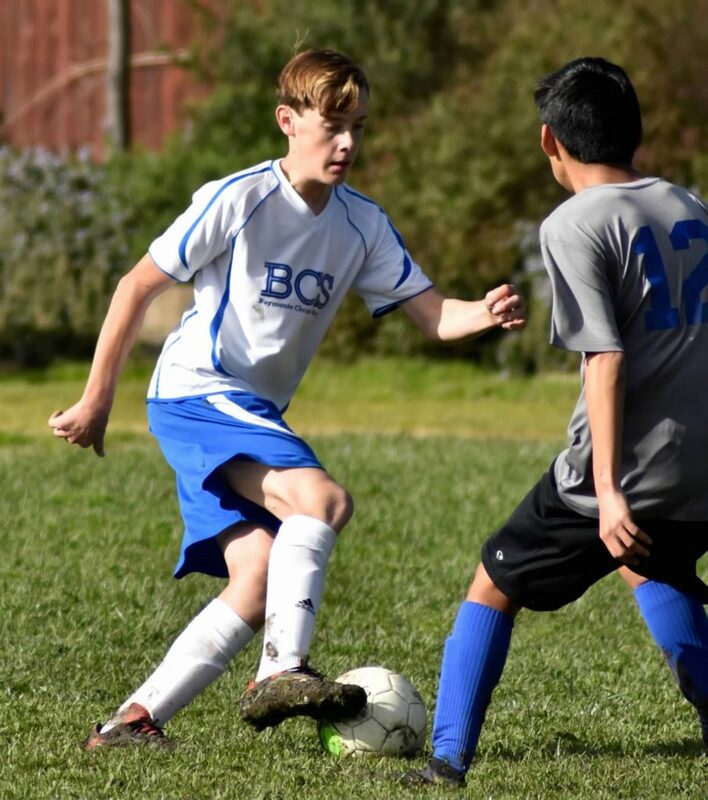 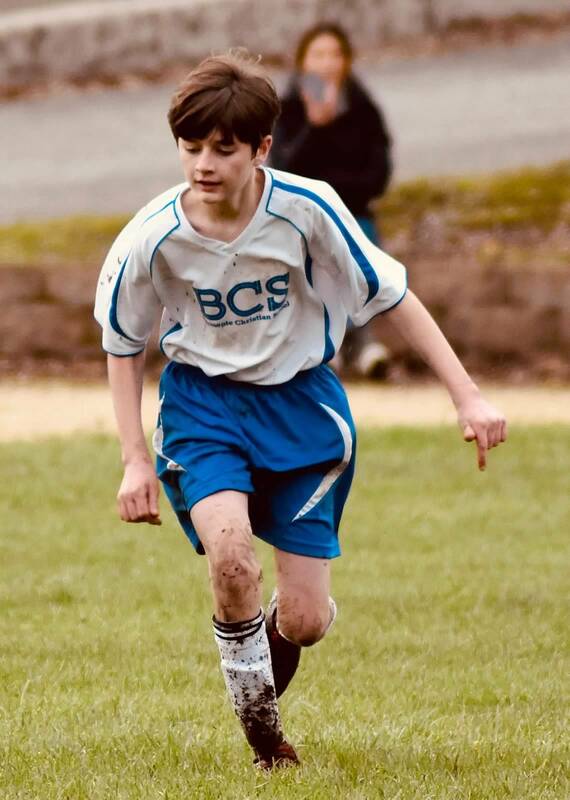 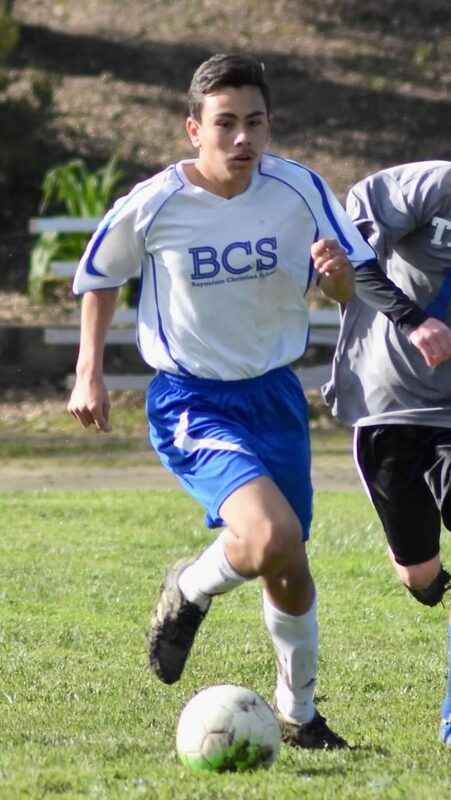 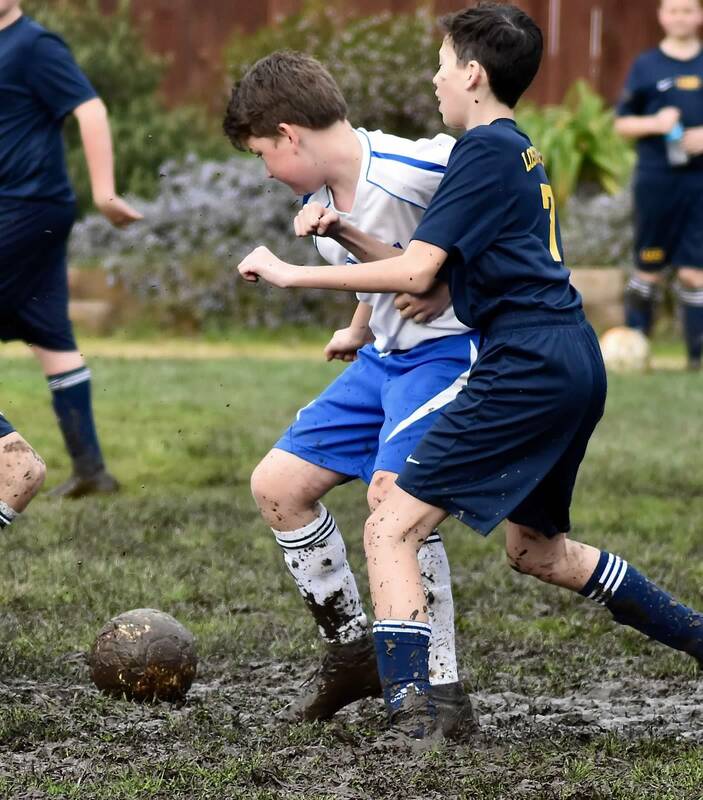 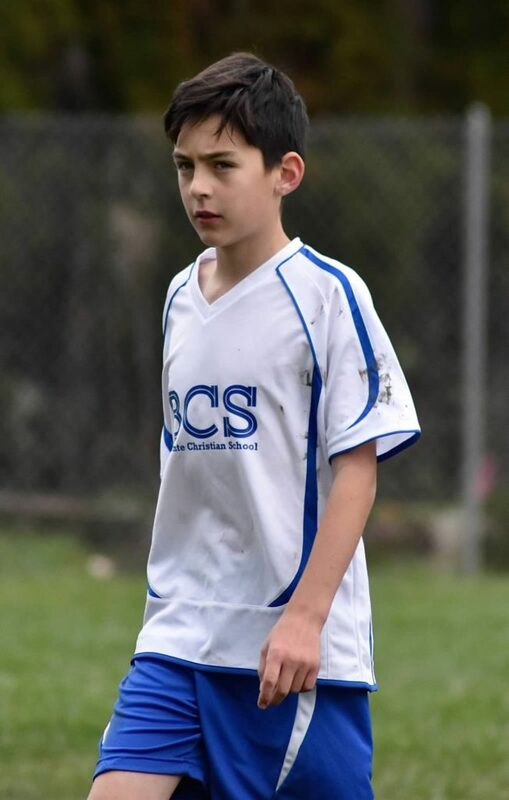 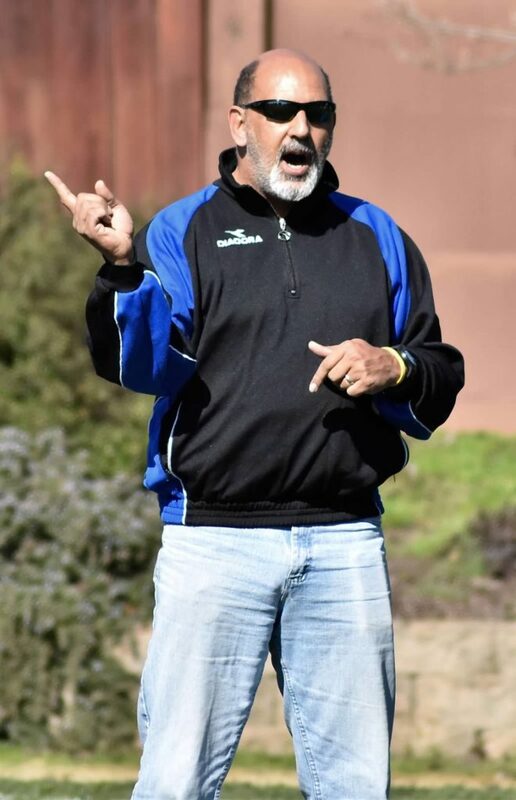 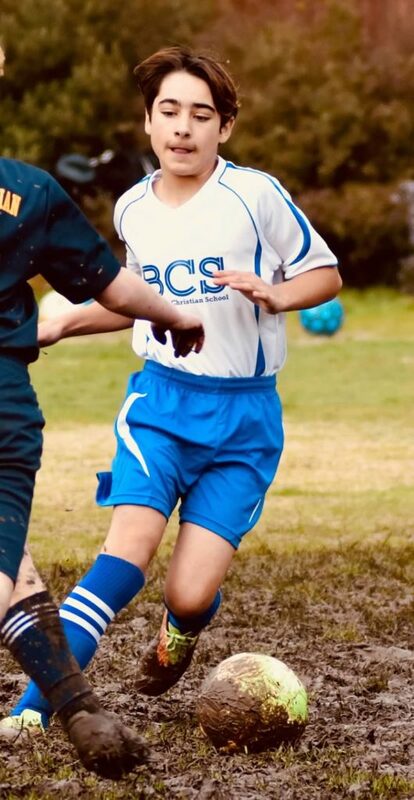 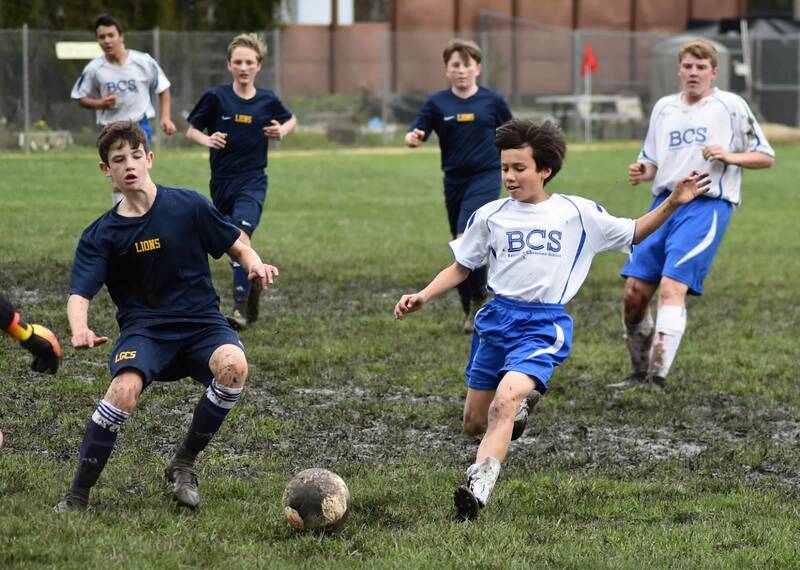 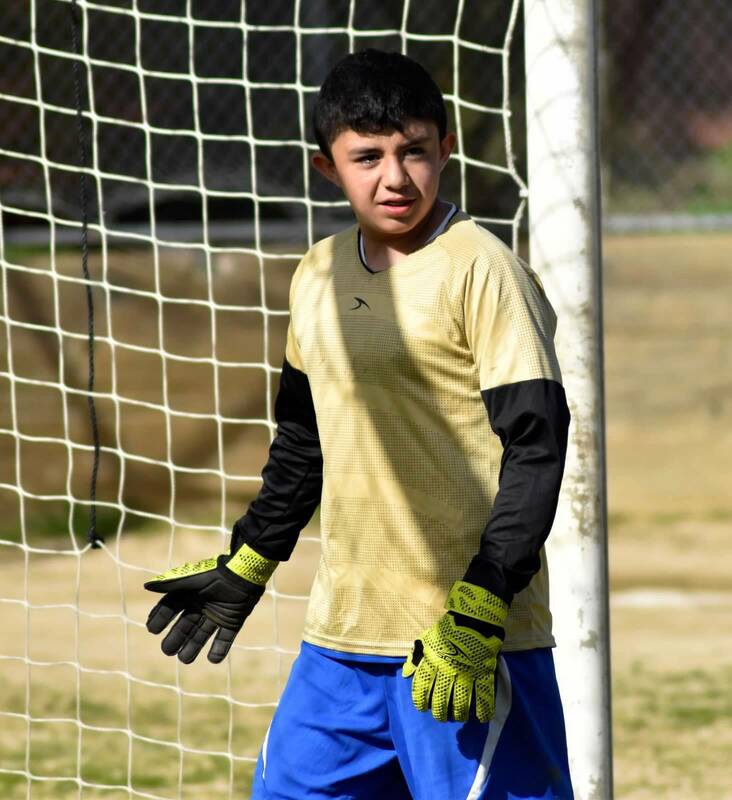 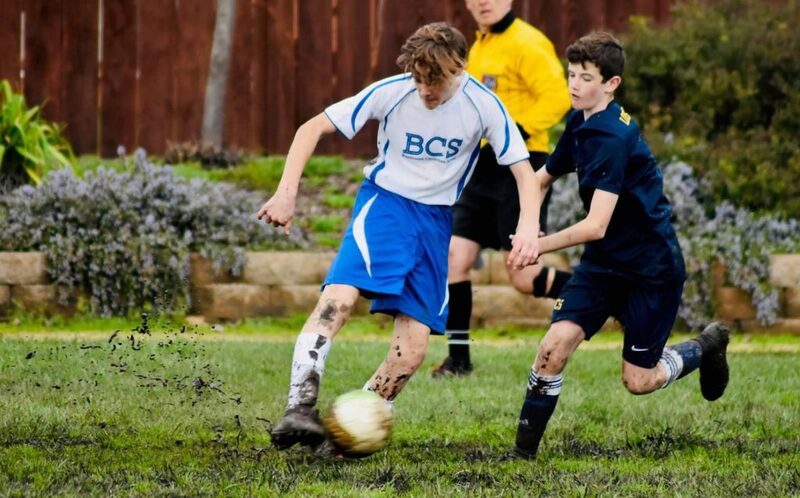 Baymonte’s Boys Soccer Team battled more than rainy weather and muddy fields this season as they earned second place in the south division of BASCAL (Bay Area Schools Christian Athletic League). 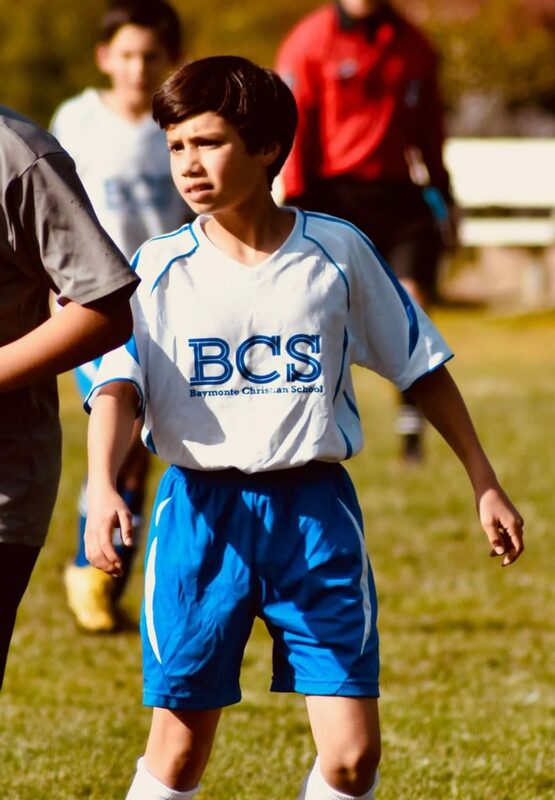 Next week they enter playoffs, stay tuned for location and dates of the first game. 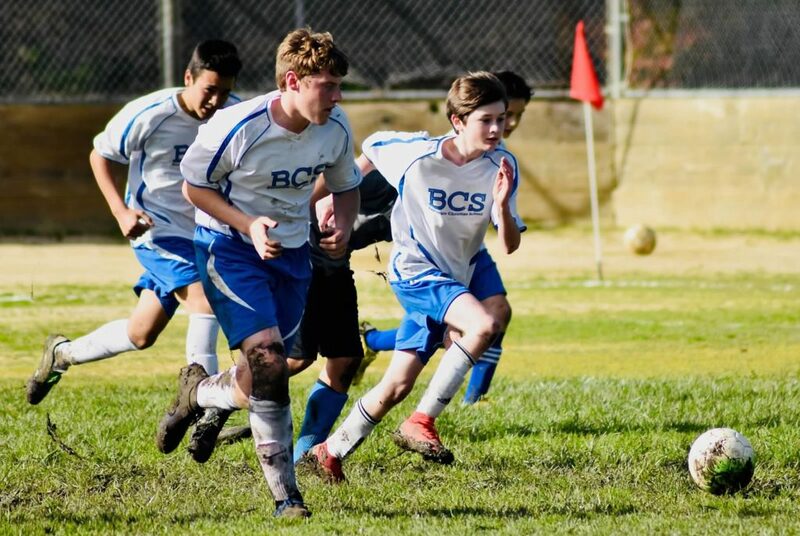 Congratulations BCS Boys Soccer Team! 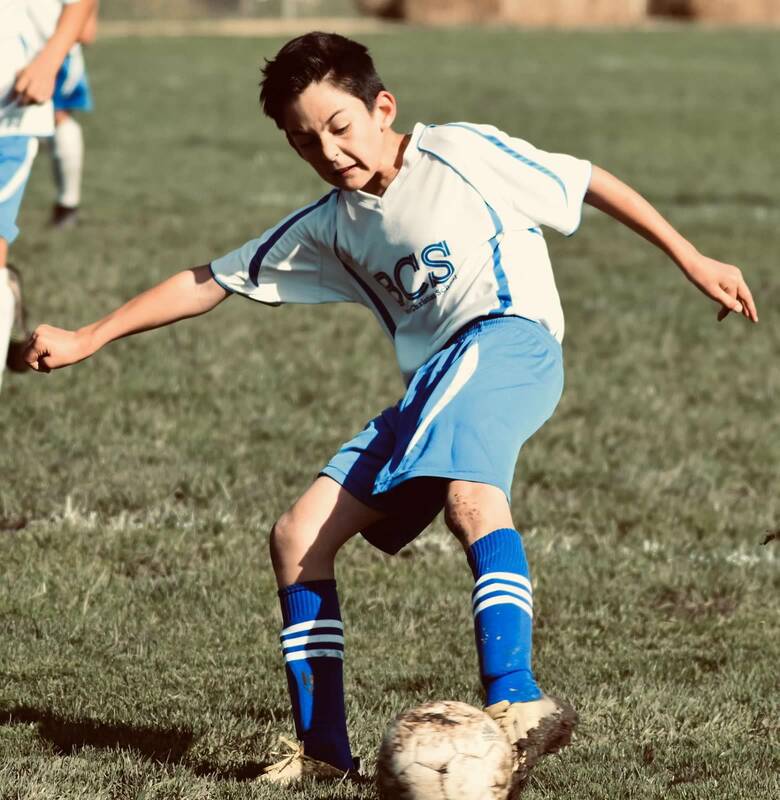 In many of our students’ lives there is a grandparent or special person who plays an important role in their growth and development. 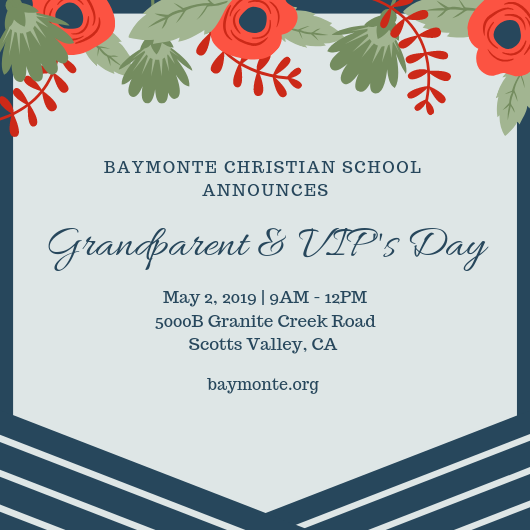 In honor of these grandparents and special guests, Baymonte Christian School is hosting our first ever Grandparents and VIP’s Day. Guests will be invited to our campus mid-morning, attend a special presentation in our chapel, enjoy refreshments, visit classrooms with their student, then have the option to leave together to share lunch at a local restaurant. 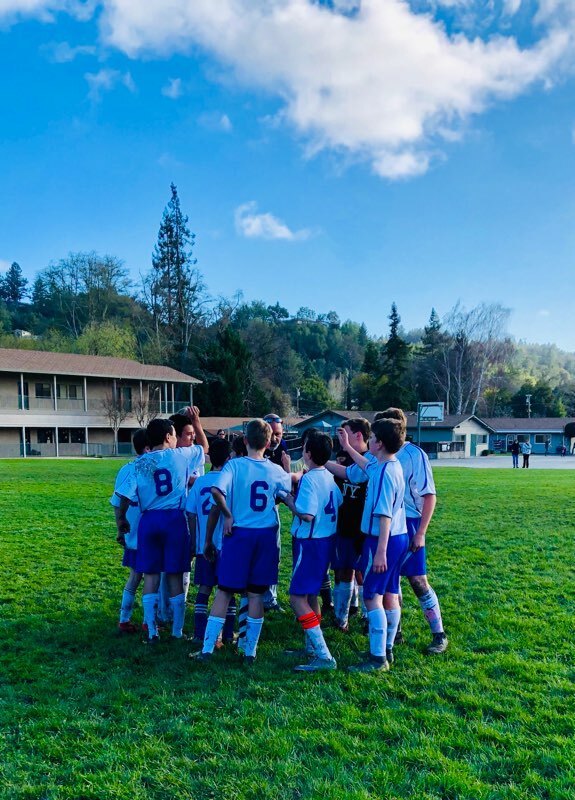 Click here to submit names and contact information for that special person your student would like to invite so that Baymonte can send a formal invitation to them later this month. 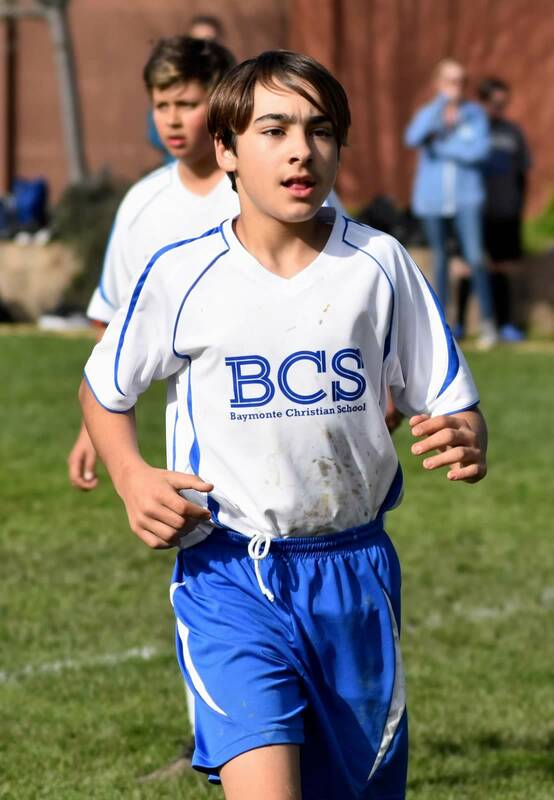 The Christian Book Fair is set up in the BCS library this week! 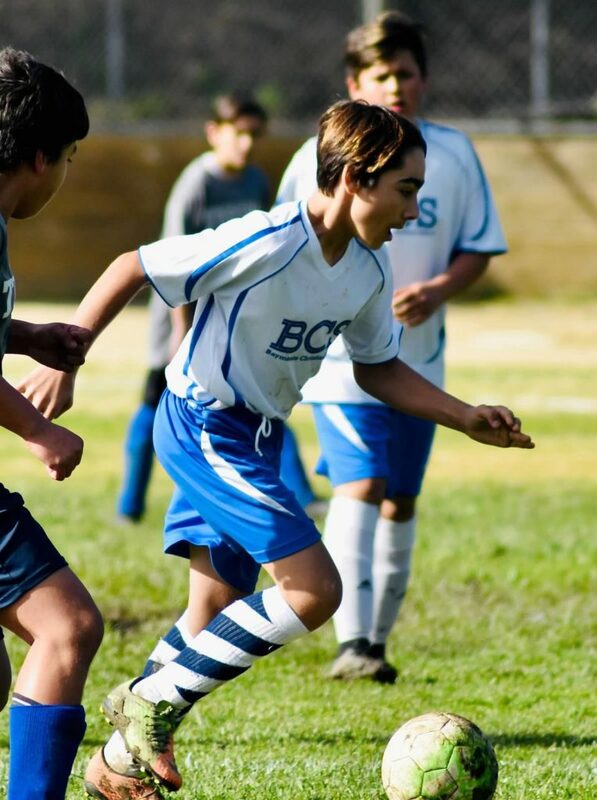 Stop by and shop for inspirational and motivational books for all ages. 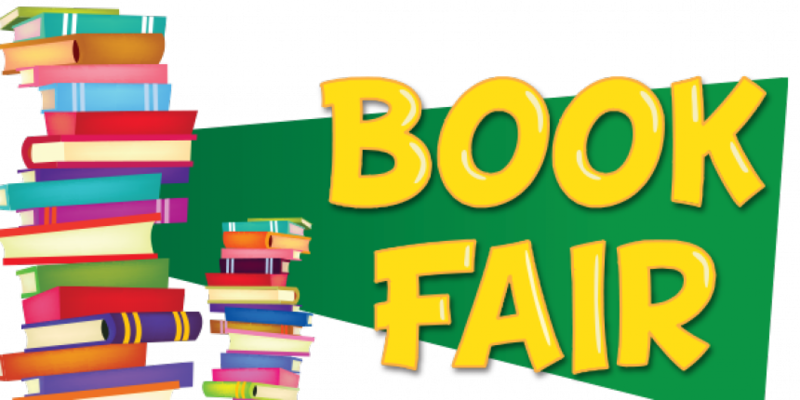 The book fair is featuring books written by well-known authors and has books for all ages. 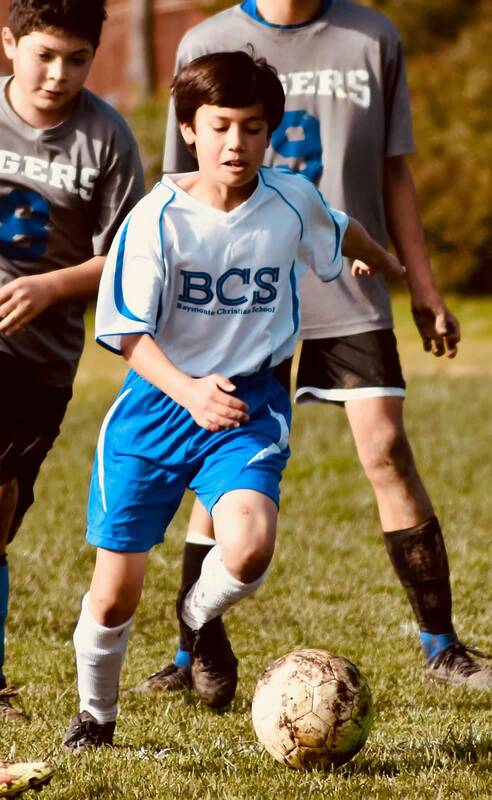 The book fair is open Tuesday, 8am-4pm, Wednesday, 8am-4pm, Thursday, 8am-4pm and 7pm-8:30pm (open extended hours during Open House), and Friday, 7:30am-1pm. 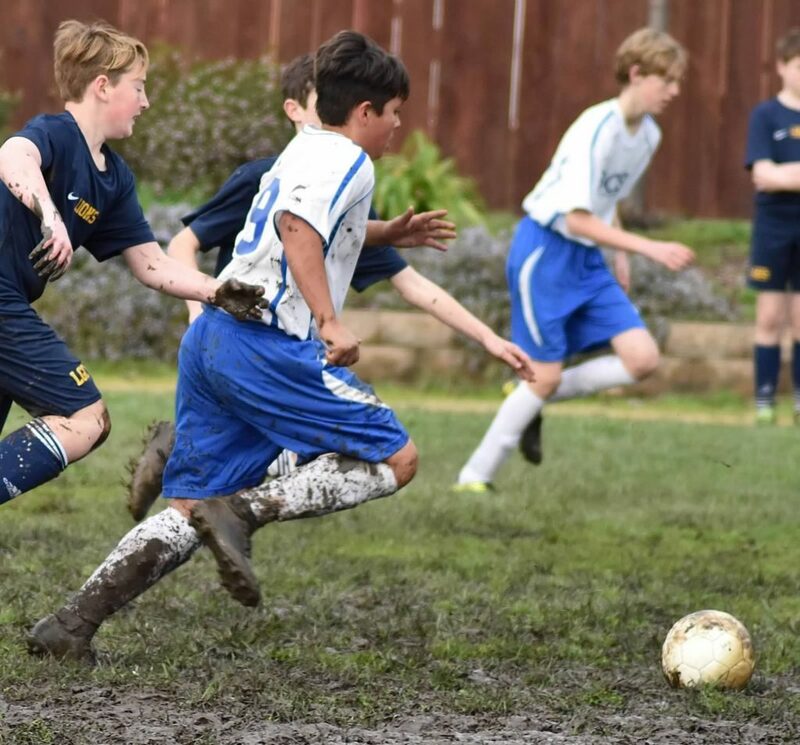 We would like to thank Hudson Construction for their generous sponsorship of Baymonte Christian School’s 2019 Round-Up fundraiser! 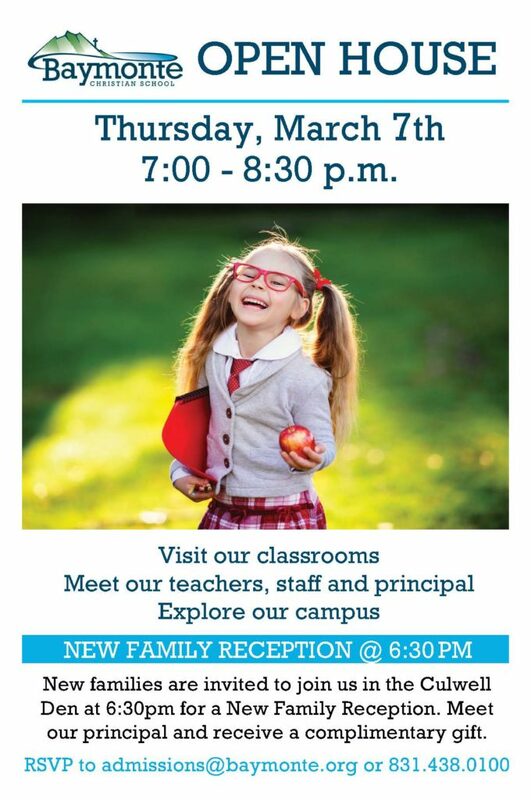 Open House is Thursday, March 7th from 7pm to 8:30pm. 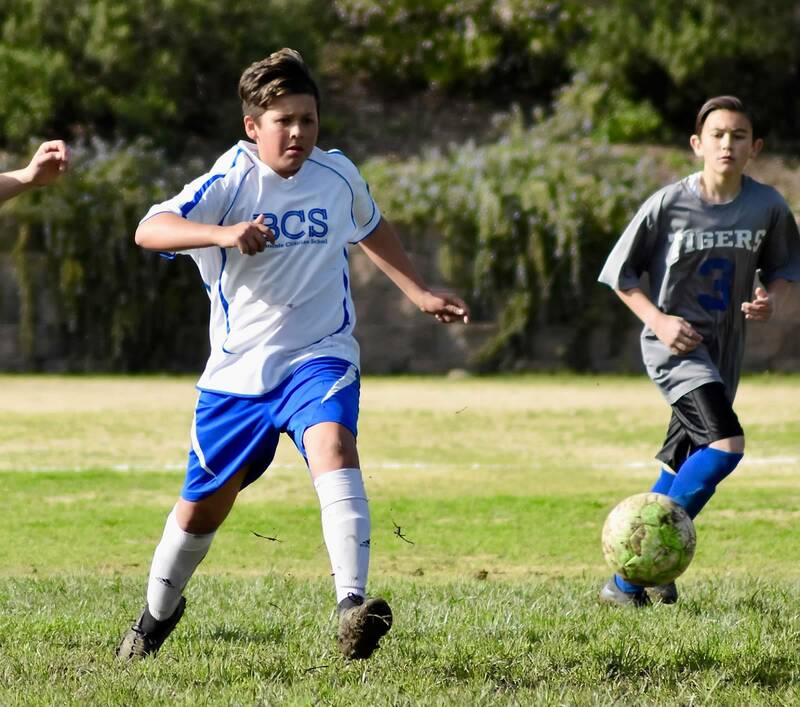 Students and teachers have been preparing for current and new families to visit classrooms and explore the campus. 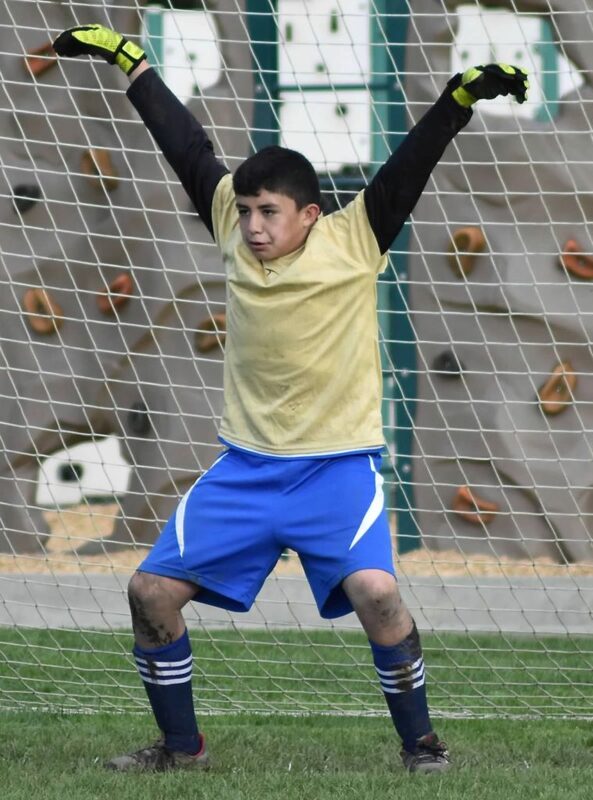 Parking at Enterprise Technology Center will be open during our event. 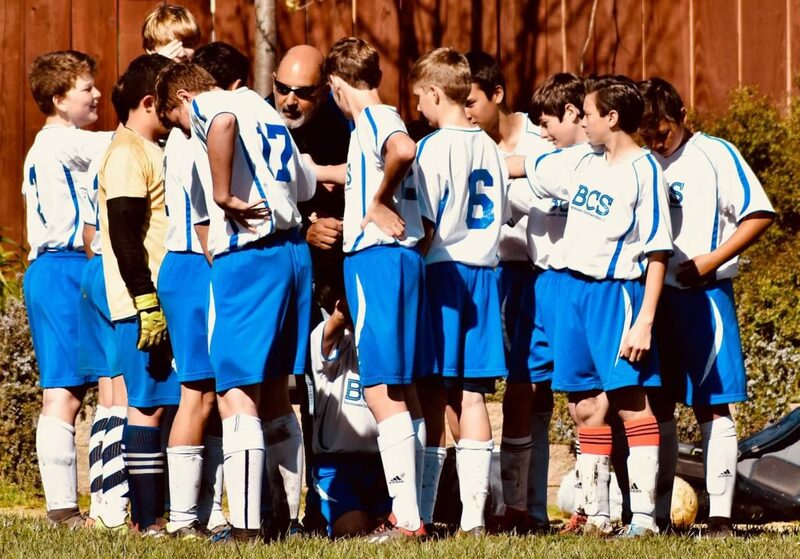 Please invite friends and family interested in learning about our award winning program to our New Family Reception at 6:30pm in the Culwell Den. 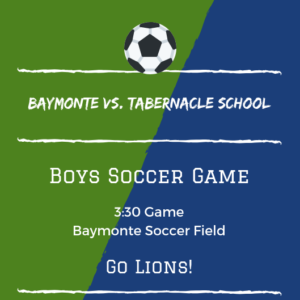 For more information please contact Rebecca Finney at admissions@baymonte.org. 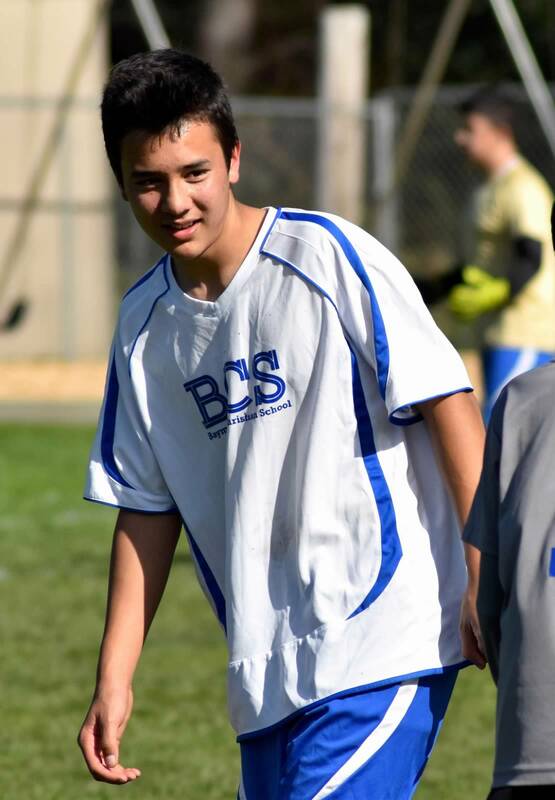 Camp Hammer Program Director (and Baymonte alum), Matthew Josselyn spoke in chapel this week. 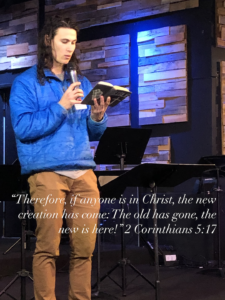 He spoke about balance, kindness, and allowing God to work through us in developing relationships with others. 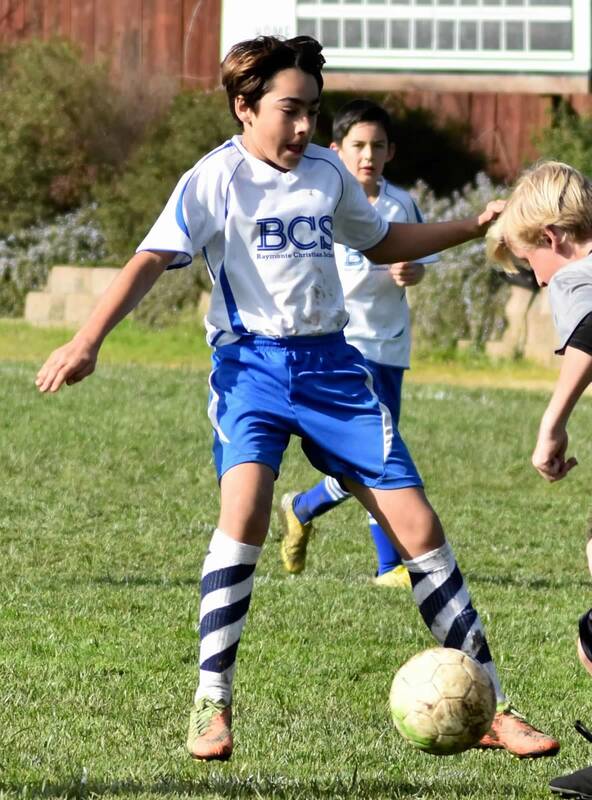 Matthew added, “there is an important balance in knowing that our actions matter immensely yet they don’t define us. 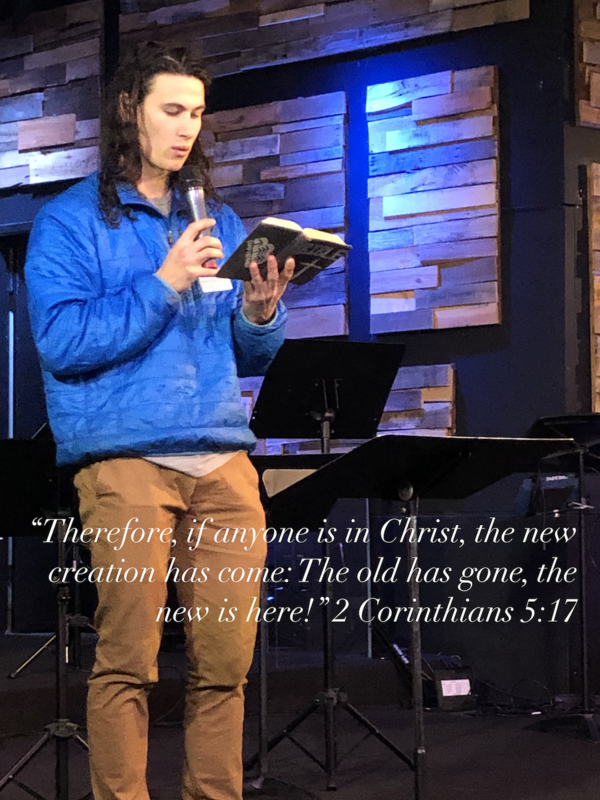 We need to invite others into our lives to grow with them but regardless of our human relationships the one who defines us is God”. 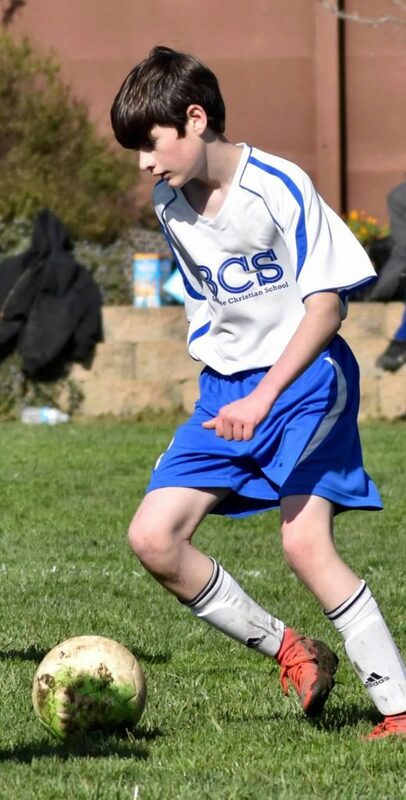 Thank you Matthew!